"Just wanted to give a shout out to Andy and his crew. I think they did a great job and Andy was very easy to work with. We appreciated his attention to detail and his patience. Definitely a great guy to have on your staff." This is a letter of appreciation for you and your team. From the beginning, when we visited your showroom this has been an excellent experience. Your expertise in helping us select the most suitable fencing, not just the style but the configuration also, was consistently professional yet considerate. At all points, you kept within our budget and spared us from avoidable costs, while ensuring the highest caliber materials and esthetics. Your very capable team arrived on schedule and finished the job in a most meticulous fashion. The crew leader also came up with a very suitable solution to the potential canine escape pod beneath the gates (thank you). This has transformed our home for the better. My dog and granddaughter have a safe place to run and play and it is great to look at. "I just wanted to let you know how great our new fence turned out. It looks awesome. It's such an improvement over the old fence that was falling apart. We are very happy with our decision to go with the scalloped wood fence. The installers, Andy and John, were the best. They were friendly, punctual, and respectful of our property. Andy asked me my opinion several times. Our yard as a couple of weird angles and turns and I was worried that the fence might not fit right. But it does, and it looks straight. Also, Andy was careful to bring the fence as close to the ground as possible, as I requested since I have two elderly cats that go outside occasionally. The new fence makes our yard into a backyard haven. Wonderful job. Thanks again." "Thank you very much for the fence. It is beautiful and we are very happy with it ! The two fellows did an excellent job!" "I want to compliment your business and more importantly your employees. Dillon and Max arrived on time and went straight to work. They did a beautiful job! They both are very polite, professional and helpful. 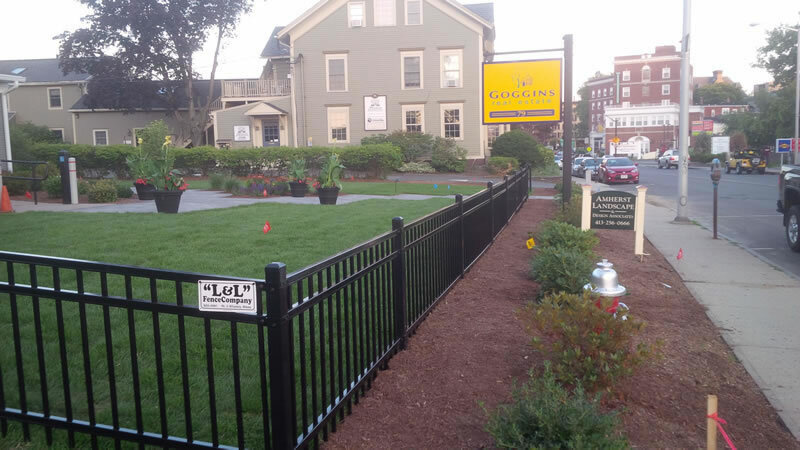 Our fence looks wonderful and we would recommend L & L to anyone." "We are very pleased with the finished fence: looks great, solid materials, good design and construction. The installers were great, very industrious and left the site in nice shape. I'm sure that the new fence will meet our needs to keep our dogs in the yard. Thanks!" "Just wanted to let you know we are so so happy with our new fence. Andy and Jordan were absolutely the BEST!!! Before he left, Andy made sure we knew everything we needed to know and answered all our questions. We couldn't be any happier. Please thank them again for us." "Just wanted to let you know that your crew did a great job with our fence installation. The guys were personable and certainly knowledgeable. They deserve recognition and we are very pleased with the quality of the fence itself. Again, thanks for a job well done." "Dan, I first of all want to thank you SOOOOO much for the beautiful fence! The work your guys did was amazing and we're so happy with the final product." "Andy and Jordan were fantastic and very thoughtful to our needs. Very professional and a pleasure to work with !" "Thank you Dan for the good work!" "Dan, Thank you so much. We LOVE our fence!" "Thank you for a nice job on our installation!" "Please extend my thanks to everyone there at L&L Fence for the wondeful project. I LOVE the fence. It is such a joy to be able to open the door and let the four dogs out without have to harness them up and leash them. The little ones are finally allowed to run their little legs off and investigate everything. The older dogs can get more walking exercise to help with their arthritis and stiffness. It looks beautiful, we have had so many compliments on the fence, it has turned an empty corner lot into a lovely space, I can't wait until spring to plant in front of the fence and add more accent planting. It has made such a difference. I wanted to let you know I gave you a excellent rating on Angie's list, it was an overall friendly, professional experience, your cooperation and help while I worked through the design was very much appreciated." "I must thank you for getting my fence repaired so quickly and at a time when you are so busy. The two men who came, and who also installed and previously repaired the fence, were wonderful and I am sorry to not remember their names. They have done excellent work every time. Thank you again!" "The fence looks great and the guys who did the work, Andy and Ian I believe, were terrific !! So thanks all around!" "Huge Job! Wonderfully accomplished ( sorry for those roots and boulders!) Great workers! We are very happy!" "Our fence looks great !! Love the black aluminum (thanks Diane!). Your crew did a great job and we have had many compliments! Great, Great, Great!!" "Just wanted to say what a pleasure it is to look out my back door and see my new stockade fence. Andy and Curtis did a wonderful job in removing and stacking the old one and replacing it with a brand new cedar fence. I'm very pleased in how it all turned out. I can only say it looks fantastic! I know the weather played a large part in getting scheduled, but I must say, the wait was worth it! 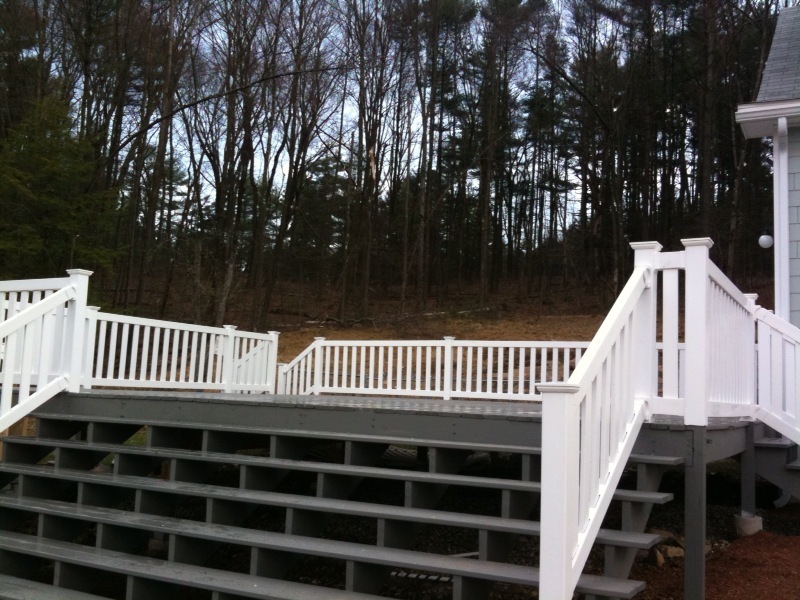 I certainly will recommend you to anyone who needs any fencing needs." "We just want to say thank you for our beautiful fence ! Joran did a wonderful job and we really appreciated the professional care he provided at every step of the construction process." "Hi Andy and Curtis, Many thanks to you for your excellent and thoughtful installation of my beautiful fencing. I am most appreciative!" "Thank you for a fantastic fence! The yard looks wonderful! Dan's suggestion of placing the fence below the pool, opens up the area. Eveyone who's been to the house, compliments the fencing." "Thanks for taking the time out of your weekend to put up our fence! We love it!" "Our new fence looks amazing, and our dogs love their new backyard! Our neighbors have all commented on how beautiful the fence is, and I have given them all your contact information. Your staff was polite, professional, experienced, and as promised, they finished the job in one day! Dan, thanks for taking the time to personally come out and inspect the work and put up the gate. I will always refer anyone looking for fencing and garden accents to L and L Fence!" "Thank God we found L and L Fence! You were kind, honest and kept all of your promises! Your estimator came out to see us the very same day we contacted you, and our fence was literally installed the same week! And what a fence it is! I will tell everyone I Know in this area - There's only ONE place to buy a fence, and that's L and L Fence Company!" 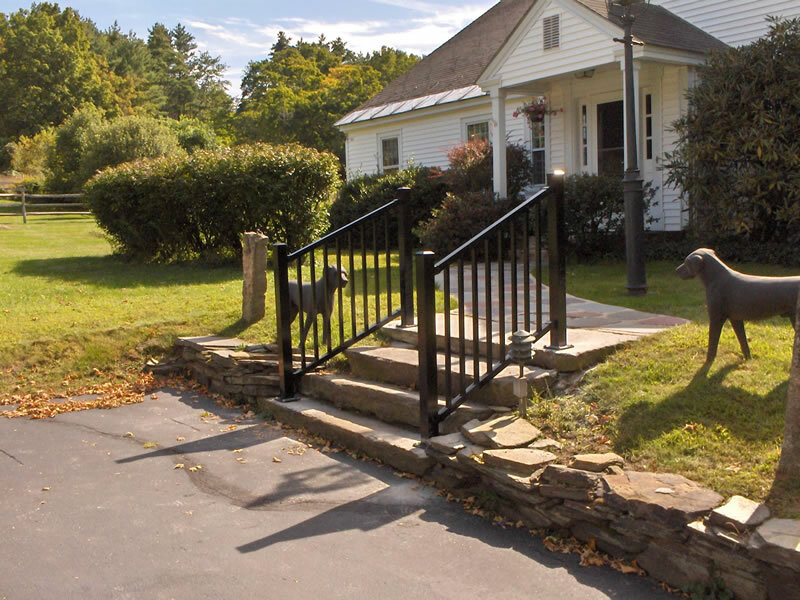 "Today I had a Rail Fence installed by L and L Fence Company, I couldn't be more pleased with the results! Andy was professional and pleasant to deal with. They obviously took pride in their work, installing and re-installing posts until it looked perfect. I highly recommend L and L Fence Company to friends and family. Thank you for doing a beautiful job!" 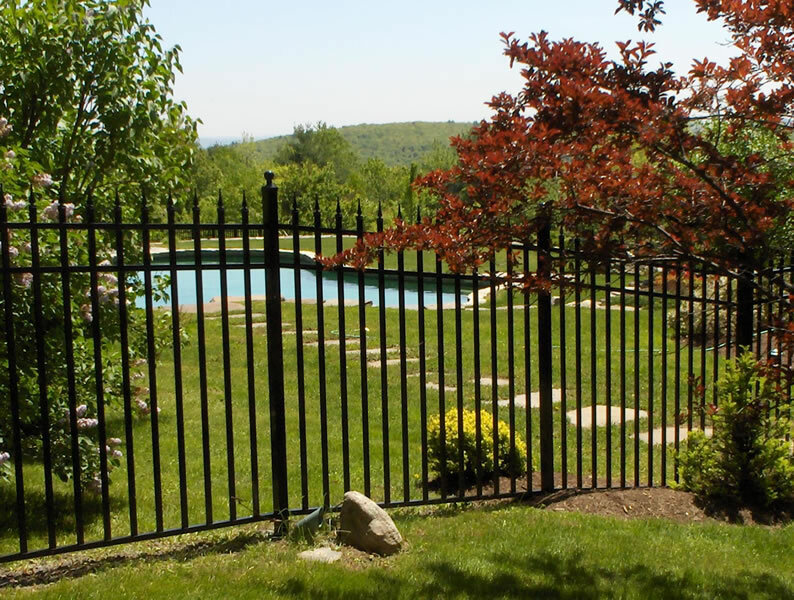 "We wanted to write and let you know how pleased we are with the fence you recently installed in our backyard. We were so impressed with your professionalism. We feel that you went out of your way to make sure that our needs were met and that we were pleased with the final product. We will highly recommend your company to our friends and neighbors, and thank you for the excellent service you provided." "I want to tell you how pleased we are with the way the fencing for our pool turned out. It looks wonderful! Your crew was a pleasure to have doing the work. They ere very knowledgeable, and leveled every piece perfectly. There were also very polite and courteous and extremely neat. They were great! It was a pleasure doing business with you!"